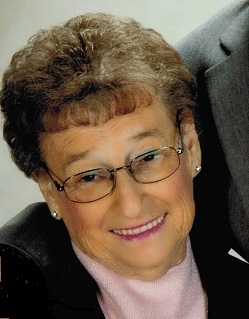 Elizabeth Guerrier, 77, of Latrobe died Thursday January 10, 2019 at Excela Latrobe Hospital. She was born July 7, 1941 in Latrobe a daughter of the late Frank and Margaret Kniska Malik. Elizabeth was a member of St. Rose Church Latrobe and loved to cook. She is survived by her husband of 57 years Joseph L. Guerrier, her three sons; Joseph Guerrier (Cathy) of Marguerite, Ed Guerrier (Wendy) of Gray Station and Kevin Guerrier of Boswell. Two grandsons Anthony Guerrier (Emily) and Vincent Guerrier. One sister Rose Lukon (John) of Atlantic, several nieces and nephews. Visitation, services, and interment in St. Rose Cemetery were private.